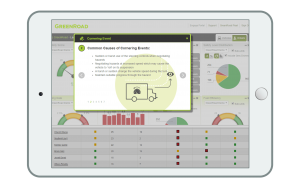 Improve safety and reduce risk in your fleet by providing real-time coaching and driving tips to your mobile workforce to help them perform better on the road. 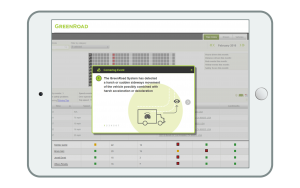 GreenRoad’s safety and performance experts have compiled an extensive database of driving tips to help improve on the common driving mistakes made on the road. These new interactive tips not only explain how risky manoeuvers are being captured but they also provide training and guidance on how to avoid them in the future. Our driving tips are available for quick viewing in our easy to use safety dashboard and provide guidance across key driving safety areas such as Acceleration, Braking, Cornering, Lane Handling and Speeding. Our instant driving tips help to correct over 150 dangerous driving manoeuvers.